YAFU (YAFU) added a comment to rB9573bf432c4b: UI: move top-bar into the spaces header. Anyway I'm not sure how heavy it can be to have an extra 3D Viewport Editor there, so just in case in that editor I have disabled overlays and visibility. On the other hand I had proposed to create a new type of Editor that only contains Tool Settings header, so that the user can place it where he/she wants to occupy horizontally the length of the screen, without having to use 3D Viewport Editor as I have done in that .blend file. The more personalization possibilities the user has, the better. YAFU (YAFU) added a comment to D4680: Move topbar to 3D viewport editor. It looks like we can only hide Tool Settings or the whole header. YAFU (YAFU) renamed T63618: New Material Preview is computing Refraction/SSS when disabled in material(Eevee) from New Material Preview is computing Refraction/SSS when disabled in material to New Material Preview is computing Refraction/SSS when disabled in material(Eevee). YAFU (YAFU) created T63618: New Material Preview is computing Refraction/SSS when disabled in material(Eevee). YAFU (YAFU) awarded D4680: Move topbar to 3D viewport editor a Like token. YAFU (YAFU) added a comment to T63586: Vertex paint color picker not acaccurate. I have understood that pipette/color picker always takes color from screen, instead of the real color. In my opinion, this by default should take samples of the real color as it does by default "S" key in Texture Paint mode (option Sample Merged disabled). YAFU (YAFU) added a comment to T63344: Breaked topology in Sculpting new project . I'm not a developer here. YAFU (YAFU) added a comment to T62548: Reflection cubemap doesn't bake from objects, displayed as box..
YAFU (YAFU) added a comment to T63215: Canceling extrude doesn't undo the extrude, only the distance moved.. Yes, it's how it behaves in 2.79 and it's how personally I like it to work. But in 2.79, the visual feedback so that the user can realize that there are zero area faces was through face dots, which are disabled by default for 2.8. 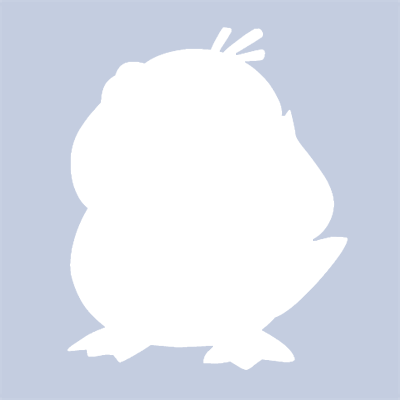 YAFU (YAFU) added a comment to T63213: Face dots visibility problem. To me something wrong is happening with center (face dots) in Ortho view, faces are transparent to the dots. Even recently I thought that face dots had returned to give some kind of visual feedback, for example for zero area face, as in 2.79. But apparently it's just about this problem in Ortho view. YAFU (YAFU) added a comment to T62600: Dynamic Paint . YAFU (YAFU) awarded D4580: New option to reduce the Eevee/LookDev viewport resolution a Like token. YAFU (YAFU) created T62863: 2.8 - Dynamic Paint and Rigid body does not work. YAFU (YAFU) added a comment to T62744: dynamic paint is not working. YAFU (YAFU) added a comment to T54807: Blender performance under Linux is flakey ( on my system? ). YAFU (YAFU) added a comment to T62824: Blender se cierra en cycles render. Please, write in English. You do not need good English, you can use an online translator. When you make a report of this type, the developers request that you share a .blend file in which you can reproduce the problem. You can drag the file from your Windows file browser to the field where you write the messages here. Please, share the exact version of Blender in which you have problems (it appears above in the splash screen), or you can share a screenshot in any case. YAFU (YAFU) added a comment to T62718: Dynamic Topology doesn't create new topology for grab brush, and causes drastic slow down.. There is a clear difference in favor of Windows. You open the file and without zooming, you try to make a continuous stroke with Grab brush. In Windows there are a few jumps in the movement, but in Linux directly hangs for a few seconds without showing changes. Has any developer been able to confirm this problem? Is there any open report about it? The previous report whose link I have shared above seems to have turned into an AMD CPU problem, but I have an intel i7-3770. By the way, disabling dyntopo, the difference in performance is also in favor of Windows 7. It is not yet clear to me if the performance problem with Dyntopo happens mainly in Linux or in all operating systems. YAFU (YAFU) added a comment to T62722: 2.8 - Subdivision Surf Modifier poor performance in this mesh. Thanks for pointing to those similar reports. YAFU (YAFU) updated the task description for T62722: 2.8 - Subdivision Surf Modifier poor performance in this mesh. YAFU (YAFU) created T62722: 2.8 - Subdivision Surf Modifier poor performance in this mesh. YAFU (YAFU) created T62289: Missing Data-Block node crashes Blender 2.8. YAFU (YAFU) awarded D4404: Properties Header Titles a Like token. YAFU (YAFU) added a comment to T58410: Shading Artifacts | Edge Crease + Subsurf + Smooth Shading. YAFU (YAFU) added a comment to T55386: 2.8 UI Tools: Top Bar, Tool Properties & Toolbar Update. Is there an optional way for "Active Tool & Workspace Settings" tab to display all the Brushes in the different modes that Brushes are used? YAFU (YAFU) updated the task description for T58994: Subdivision Surface modifier generates artifacts with Mean Crease=1. YAFU (YAFU) created T58994: Subdivision Surface modifier generates artifacts with Mean Crease=1. YAFU (YAFU) added a comment to T58760: Lost textures after closing file and reopening, and can't texture paint anymore. Yes, I know that pink color is the normal behavior when a texture is missing. But in this case texture is packed in .blend file. It's a refresh/viewport update problem when open de file. You only need to modify something in Material so that it correctly appears in viewport. Hmm, he's using Material slot. I'm not sure now, as I remember blender 2.79 in these cases open the file with the material Color, not pink. Apparently yes, I mentioned the link of that report in message above. The first problem is related to that report, user did not save images. It is not a bug, it is a design problem. The second problem is user problem (brush strength=0). But I am surprised that no one here mentions the problem that when you open the .blend file, the texture is not refreshed correctly in viewport (it looks pink) until you make some change in material (Nodes or from Properties editor). Maybe a Linux problem only? YAFU (YAFU) added a comment to T58763: "Sample colour" picks incorrect colour if Mirror modifier exists on mesh. While developers discover why images are not loaded again when opening .blend file to be shown in 3D View editor, if you want to continue working on your project you from Shader Editor you reload the image in Image Texture node from left dropdown menu, or make some modification in Material tab. Also note that in the .blend file you have Strength=0 for the brush. YAFU (YAFU) added a comment to T58633: Combing hair makes hair go inside model. This is enabled by default here, you try with a new scene. You must have disabled it accidentally or while you were experimenting. As I mentioned, Top Bar while you are in Particle Edit mode. Also in the first tab of Properties Editor. YAFU (YAFU) added a comment to T58634: Particle Edit mode does not preserve hair length. It is a Children settings thing. You can see Children while Particle Edit. In Particle Edit mode look for the option in first tab of Properties Editor. You have Deflect Emitter disabled in that file. Enable it and configure Distance. I can not find the .blend file that you say you have shared. YAFU (YAFU) added a comment to D4024: GP: Draw Mode: Add Arc Primitive. Daniel. Great! Good to know. Thank you. Charlie Jolly. Oh, I can see. Sorry for the misunderstanding and thanks to all of you. I am testing the patch and it looks very good. Thank you. I do not know if you know MyPaint and Lines and Curves tool (or continuous lines and curves tool). I am missing here the possibility of changing the position and curvature of the curve, as Shift key works in MyPaint. I'm not sure if I can put the link here, but MyPaint wiki explains it well. Perhaps those modifications are planned to do it in Edit or Sculpt mode with GP, and not while curve is drawn? It would be nice to be able to modify these things of the curve while you draw in Draw mode, but anyway it looks good as it is now. YAFU (YAFU) added a comment to T54943: Blender 2.8 Defaults. YAFU (YAFU) added a comment to T55162: Blender 2.8 Blender Keymap changes. Ctrl is not really Subtract in sculpt mode. Ctrl does the opposite of the selected brush mode you have. If you are in brush Subtract mode, then Ctrl add. What I think (not sure) we are missing is the possibility of assigning a shortcut to an Add/Subtract toggler to change the mode without having to permanently keep pressing a key, and probably if it were possible I would assign Alt to that toggler (or Alt+something). YAFU (YAFU) awarded D3891: UI: Draw curve map with solid color a Love token. YAFU (YAFU) added a comment to D3891: UI: Draw curve map with solid color. Some opensource Photo RAW editor uses a soft light gray line in the outline of the curve, it draws Grid in dark gray. As here in Blender the grid is light gray, maybe a curve outline in some dark color helps better visualization? YAFU (YAFU) added a comment to rBe9a60ce19920: Workbench: Add Curvature overlay for better visibility of surface detail for e..
Erick, Apparently the change was reverted in experimental-build and it is no longer there. You apply the last patch from D3617 on 2b62531 Base. YAFU (YAFU) added a comment to T57548: No se ven los iconos de blender. We not only have infinite possibilities of collections, but also sub collections. In my opinion, the best way to manage them quickly is with a hotkey + numpad. It would also be ideal if developers could achieve a method to visualize better position number of collections in the outliner stack. YAFU (YAFU) awarded rBd69fe6325dbe: Eevee: Fix clearcoat materials not recieving AO a Love token. YAFU (YAFU) created T57360: 2.8 - Crash when Play Animation in this scene. YAFU (YAFU) added a comment to T56702: Blender 2.8: Left Click Select. I see, William. I hope that devs can make LMB work well without major problems. The only 3D software I know and use is Blender 3D. I really do not have problems with RMB to select. But I really wish that LMB is established by default only to stop listening to complaints and whining about it, and that finally Blender development will focus once and for all on features and performance that is what really matters and what attracts new users. I have seen many new users enthusiastically testing Blender 2.8 for first time because of Eevee and Grease Pencil, even with Blender still having an unfinished UI at all. Features and performance is what really attracts users. YAFU (YAFU) added a comment to T56649: Proposal: Blender 2.8: Wireframe, Select Through & X-Ray. William, It's just what I show in the Blender Artists forum video, about how Wireframe 2.79 behaves in Object and Edit mode. Anyway now I think I remember that you said in another entry that we could configure Presets of different combinations of Overlays and Shading. So I guess we could configure a simple shortcut to, for example, Wireframe + X-Ray at the same time in a single custom preset to quick access. So the point that I was trying to point out here, would have solved with those custom presets, and I have nothing to complain about what I had pointed out before here. William, if you were referring to me, sorry for my lack of understanding. I do not find anything that with a quick simple action I can enter an equivalent mode as in 2.79 with Z key. With equivalent mode I do not mean simply the same name "Wireframe". I mean it really behaving like Wireframe in 2.79 (Edit and Object mode). As I had said, to enter or exit in a similar way to what Z key do in 2.79, I need to perform two pairs of actions, Wireframe and X-Ray. This is slower and tedious than in 2.79. I will continue experimenting just in case. Sorry again. YAFU (YAFU) added a comment to T56881: Blender 2.8: More Pie Menus. I know Pie ​​Menu is very required by users. But I do not feel comfortable with it, I make many mistakes for example with that "fast move" selection in direction to de item. Maybe I am not very brain capable for this kind of features, I do not even have a good memory to remember the position in which an item is. My request is, please, think about the users who are not very capable to use Pie Menus, like me. Those fancy features like selection with fast movement in one direction, or hold a key, then move to a direction then release the key, etc... all that seems very complicated for me. As I said, surely this is for lack of my ability, not for Pie Menu failures. So for not capable users like me, it would be good from User Preferences to be able to disable all that fancy features from options boxes, with the possibility of Pie Menu acting just like a floating Menu that appears when you press shortcut, and you make the selection only when you click "exactly over" the item you want to select. YAFU (YAFU) added a comment to T54287: Memory not freed after rendering with 2.79a. YAFU (YAFU) added a comment to T56825: Memory not freed after several renders. Hi. I'm not a developer. Do you mean System RAM or vRAM? YAFU (YAFU) updated the task description for T56800: Reflection Plane in Eevee Rendered preview crash Blender. YAFU (YAFU) created T56800: Reflection Plane in Eevee Rendered preview crash Blender. YAFU (YAFU) added a comment to T56747: Last update not work (Blender 2.8). As Brecht requested, you mention the version of those Linux distributions you are using. YAFU (YAFU) added a comment to T56648: Blender 2.8: Naming Conventions. Manuel. Obviously the initial letter convention is not possible for all Blender features. The keys of a keyboard are limited and the functions/tools of Blender that need shortcuts are many more. Just noting that the change from Grab to Move clearly benefits users of other software that choose industry standard keymap, not Blender users. Those who choose industry standard keyman will have a consistent standard name (Move) and a consistent keyboard shortcut (Move - Rotate - Scale) for what they are used to (three keys in a row or whatever developers have chosen for industry standard). Blender users will not have consistent keyboard shortcuts anymore. "R" for Rotate, "S" for Scale, and "G"... Why and for what? For "M"ove? How to explain it? "G" is because "Grab" was the old name that it had in the old Blender before 2.8? It does not make sense to me. "Grab / Move" as in 2.79 is the convenient name I can think of. Just my opinion here, is not that I am going to be angry with any decision you make. YAFU (YAFU) added a comment to T55998: Blender 2.8 Crashes on accent use (Latin Characters). Just to give my opinion without trying to generalize what I personally like, with what others may like or suits them. YAFU (YAFU) added a comment to T56595: Hair Dynamics stop working after saving new file. Open the scene. In Particles Tab press Free Edit button. In Type change from Hair to Emitter. In Type, change back from Emitter to Hair. Blender Crash. Leandro Cavalheiro (lcs_cavalheiro) awarded T43907: Unable to copy/paste nodes between instances a Love token. YAFU (YAFU) added a comment to T54582: 2.8 UI Tools: Tools Design. I mentioned this in blenderartists forum, but I think I should comment my concern in some official website, like this. About Active Tools and Circle Select, it would be nice to somehow be able to see the brush outline before clicking to select. You imagine a dense mesh in Edit Mode, and you want to start selecting vertices through the middle of the mesh. You will not be sure in advance what you will select when you click because you can not see in real time what the radius of the brush covers. YAFU (YAFU) added a comment to T56527: Combing hair extends it . Anyway I am not sure if this is a necessary condition to be able to work properly with hair. YAFU (YAFU) added a comment to T56510: Blender 2.8 Splash Screen Design. Where "Build number" item appears, could it be a button that "directly copied to the clipboard" some short useful information for when you report a bug? (version/build/hash and maybe some very short information about System and GPU/CUDA/OpenCL/OpenGL). YAFU (YAFU) added a comment to T56503: blender no carga ni abre archivos de video FFMpeg mp4 linux Fedora 28. As Brecht pointed out, this is not considered a Blender bug. You read what I had written above in Spanish, using official Blender is the solution. Por favor, usted utilice un traductor en linea para escribir en inglés. YAFU (YAFU) added a comment to T49628: Blender 2.78 Grease Pencil - pen pressure problem (Yiynova Tablet) . YAFU (YAFU) added a comment to T55743: Convert to - Curve from Mesh/Text. I can confirm this crash in updated 2.8. Is the final decision Top Bar to be fixed up there? Is "Top" part of the name limiting the possibility of developing a much more configurable bar with respect to the possible positions on the screen?. If so, maybe rename "Top" Bar for something else. Besides renaming it would avoid people confusing the concept of this Blender Bar, with the TopBar concept of most other software. TopBar fixed there, is limiting the possibility of different workflows to which Blender users were accustomed. By the way, I know about "Tool settings" tab in Properties editor, but what I mean is about what had been discussed started by "pistol ioan (pistoltoto)" recently a little above. The concept of that bar is great and it would be good to be able to be more configurable with respect to positions. Hi. I think that Translate/Move widget should be by default instead of Cursor. Sorry if that was the plan, but I found nothing about it above. I think that "pistol ioan" means that he wants to use horizontal Top Bar "concept", but it can be more configurable and have more possibilities in terms of it position, for example be able to place the bar just above 3D View in the screenshot he showed. This could be achieved by "Top Bar" being a complete new "Editor Type", or it belonging to 3D View Editor. Or maybe it's some kind of detachable panel. And I agree with that, just making TopBar hidden does not solve the problem for people who like the concept of Top Bar, but they just want to place TopBar where they like best. In blenderartists forum some users were worried about the difficulty to easily access/configure Wireframe mode so that it looks like 2.7. I know Wireframe is still WIP and maybe there will be better shortcuts. But from that I thought that since there are several configuration combinations for Shading and Overlays, it would be good to reserve a set of keyboard keys where the user could easily save their preferred Shading and Overlays "Current" configuration (Save current Shading and Overlays settings to a Key). I do not know if this is something similar to what was intended for "Q" Quick Menu (favorite commands). Mmm, "Pose" Mode could be the last number not used so far. I'm not sure if that's 8 or 9, depending on whether Grease Pencil will be a mode too. Or "Pose" Mode could also always be shown in Mode Menu, but grayed out when an armature is not selected (to continue with intuitivity with order in Menu). In the same way, if you are in Pose mode, grayed out not available modes in Modes Menu. I think that for key numbers to be intuitive, they have to follow the order of how Modes appear in the Modes selector menu. So if that is the order that modes will appear in menu in 2.8, I agree with William's proposal. Hi. I was testing a bit of animation in 2.8, mainly things that fall, and I found the big "Frame number indicator" in new Timeline somewhat distracting when playing animation in viewport. I have disabled "Show Frame number indicator" for Timeline (that is something that I will surely configure by default for me in 2.8). The problem here is that for some users "Frame number indicator" could be useful in Dope Sheet mode (and other modes) since frames are not shown in the bar like in Timeline mode. Just commenting on that experience. Thank you very much for your hard work. YAFU (YAFU) added a comment to T54961: Exr's. YAFU (YAFU) added a comment to T54963: Industry Compatible Keymap. Sorry, I misinterpreted (may bad English helped for this). Thanks for the clarification. But, does this pretend to be behavior by default? If so, I'm a little confused right now. I understood that there would be changes to improve consistency between all the modes/editors within the same Blender, and make things easier for new users who use Blender as the first 3D program ever, not to satisfy users coming from other programs. I entered/know the 3D world with Blender as firts program. Then I have tried other programs and I think Blender has the best behavior for viewport navigation with mouse button wheel (and for the pen on a graphic tablet). Only noticed the problem of the LMB select that we all know. YAFU (YAFU) added a comment to T54950: 3D Cursor Design. Would a "Smart" mode be possible to position 3D Cursor?. For example with "Smart" mode enabled, when left button clicking on an object or an empty, it automatically positions 3D Cursor in Object origin or exactly on the empty. In Edit mode, if you left click on a vertex or near a vertex (just like RMB selection works) then 3D cursor is automatically positioned exactly on that vertex. The same for edges or faces. Also Smart mode to position the cursor on Grid Floor, especially in Ortho view. In my case, the only time I use LMB to directly position cursor in 3D View, is when I want to remove of my view 3D Cursor bothering about where I am working. Otherwise, I always need more precision, this is to first Select item and then Snap Cursor to... Then Smart mode would save those tedious steps.